Crowd Pleasers Series. 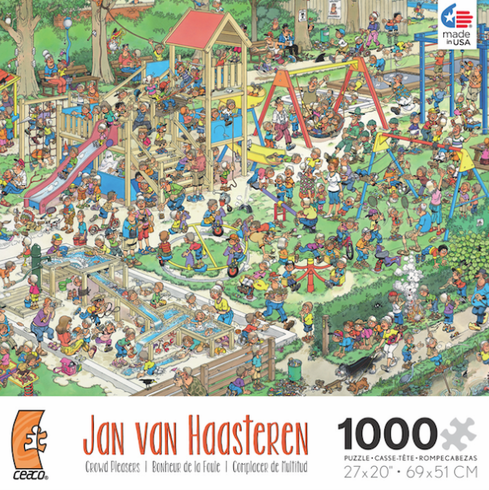 Artist: Jan Van Haasteren. Made in the USA. 1000 pieces. Finished Size: 27" x 20".